Kathryn Rawson is Head of Content at Secret Location. 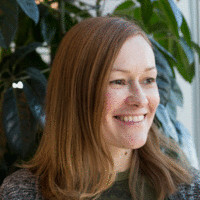 Kathryn has a background in television at CBC and animation production in the TV and advertising world, and now a focus on virtual reality content. Kathryn was involved in producing Secret Location's VR projects, LA Philharmonic: Orchestra VR, Insidious 3 VR, the United Nations 360° film Under the Net and Blasters of the Universe. She is currently overseeing content production and development at Secret Location.